Trails between the five towns. 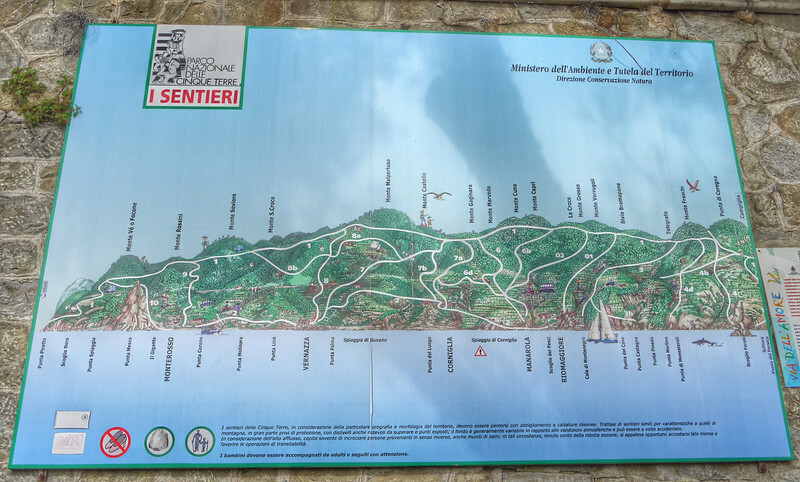 There's a long story about our hike between Monterosso and Vernazza. It was a 90-minute hike that took four hours.